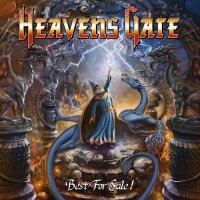 They've got the title right; the well-respected Heavens Gate, who split in 1999 and contained the highly regarded Sascha Paeth (who is still in demand), have not returned which bucks the current trend, but have produced a "Best Of" compilation which shows exactly why they are missed. This is almost flawless, full of outstanding, accessible Melodic Metal with Hard Rock moments and shows where Firewind picked up some of their sound from. Highlights? Well, 'Surrender' is classic pushy Metal in the vein of Judas Priest, 'Tyrants' really tries to rush about, proclaiming itself "hard as a rock, cold as the steel" and giving us double helpings of burning guitars, the bass break in 'Flashes', the solo taking us to the skies in 'Under Fire', simple AC/DC revved up riffing in 'Rising Sun' and the 1970's Hard Rock accessibility of 'On The Edge' with its charming melody. To be honest pick almost any from the seventeen tracks here, you can hardly miss. There are a couple of missteps; the bagpipe-led 'He's The Man' with its parping synth annoyance, the rather anodyne 'Path Of Glory', but that is a rarity even in a "Best Of". 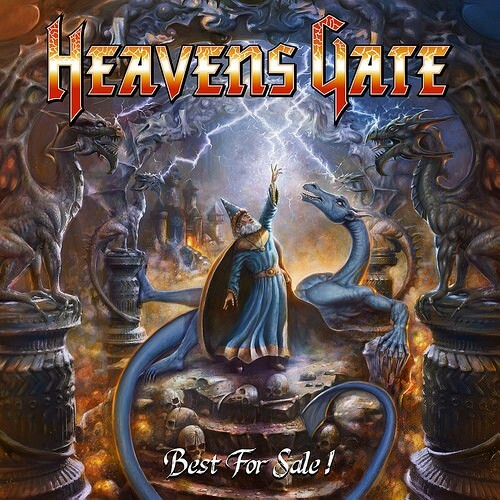 Often called Power Metal and mentioned with fellow Teutons Rage and Running Wild, this is pure Heavy Metal with a dash of Hard Rock; only when they go towards the Power, perhaps to fulfil others' views, do they come unstuck.